Alexandra Stark is a Minerva/Jennings Randolph Peace Scholar at the U.S. Institute of Peace, a pre-doctoral research fellow at the Belfer Center for International Affairs' Middle East Initiative at Harvard Kennedy School, and a PhD candidate in international relations at Georgetown University. After more than three years of conflict, the humanitarian consequences of the war in Yemen are staggering. UN Under-Secretary General for Humanitarian Affairs Mark Lowcock warned, “There is now a clear and present danger of an imminent and great big famine engulfing Yemen: much bigger than anything any professional in this field has encountered during their working lives.” While the road to peace talks will be difficult and uncertain, the United States and its allies and partners can play an important role in supporting negotiation efforts and helping the parties find a workable, sustainable solution to the conflict. The United States has provided diplomatic, logistical, and military support to the Saudi-led coalition since the intervention began in March 2015, but the U.S. Department of Defense recently announced that it would end the practice of providing aerial refueling for coalition aircraft, suggesting that the Donald J. Trump administration is willing to exert pressure on the coalition to bring them to the negotiating table. On October 30, Secretary of State Mike Pompeo called for a ceasefire to begin within thirty days and Secretary of Defense James Mattis called for “substantive consultations under the UN Special Envoy” following the ceasefire— the strongest and most direct public statements that the Trump administration had made about the intervention. There has been little movement on political negotiations in Yemen since 2016, despite efforts by the UN Special Envoy for the Secretary General to Yemen Martin Griffiths, who has been shuttling between the parties to engage in pre-talks aimed at creating a framework for more formal negotiations. 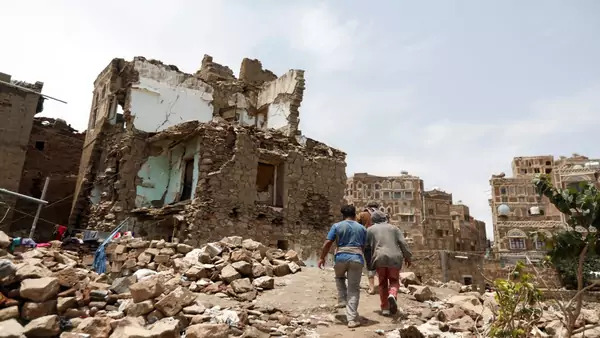 The most recent efforts were scuttled in early September, when the Houthi delegation failed to attend a meeting in Geneva, claiming that the United Nations had not met their conditions. What can the United States and its partners and allies do to help overcome these obstacles? Peace talks, now slated for the end of the year, could take several months, if not longer. In the interim, multilateral negotiating efforts should focus on confidence-building measures among the parties. As access to Hodeidah port, an important point of entry for food and humanitarian aid, is critical in the short-term for relieving the humanitarian crisis and looming famine situation, discussions on governance of the city could help build confidence in the lead-up to more comprehensive talks. UN Special Envoy Martin Griffith’s proposal from the summer should be adopted as it would place the port facility under UN control, allowing humanitarian aid in while also providing additional assurance to the Saudi-led coalition that Iran cannot use the port for weapons smuggling. Multilateral negotiating efforts should focus on confidence-building measures among the parties. The United States, working with allies and partners in Europe, can support the UN envoy’s efforts to convene the parties by December 2018 as well. The United States can play a facilitating role by encouraging back-channel talks between the Saudis, Emiratis, and the Houthis prior to and during formal negotiations, since it will be critical to get Saudi and Emirati buy-in for any viable settlement. U.S. military support to the coalition and arms sales to Saudi Arabia are also sources of leverage. In the aftermath of the murder of Saudi journalist Jamal Khashoggi, the United States has a window of opportunity to encourage the Saudis and Emiratis to engage fruitfully and in good faith. Since Saudi Arabia’s stated reason for fighting is to avoid having an Iranian proxy group on its southern border, the United States should also consider providing military assistance targeted at increasing border security. Additionally, the United States could support, and encourage partners to support, continued inspections for goods coming into Yemen via the ongoing United Nations Verification and Inspection Mechanism for Yemen to further reassure the Saudis that Iran is unable to smuggle weapons to the Houthis. The United Nations or another international institution could also create inspection and verification measures to ensure that the Houthis surrender ballistic missiles that could be launched towards Saudi Arabia or the United Arab Emirates. Such measures would be important to sustaining the peace agreement, and could additionally help Saudi officials frame the agreement as a victory for domestic audiences. Once an agreement has been reached, the United States can employ a combination of carrots and sticks to overcome the commitment problem that all sides of the conflict will face. These measures could include positive inducements like promises of conditional aid and placing international peacekeeping forces on the ground, to negative inducements like the threat of sanctions for parties that fail to comply. The road to a comprehensive solution to decades of conflict in Yemen is long and fraught with potential obstacles. However, the international interest in the region following the Khashoggi murder has created a critical window for renewed attempts at peace talks. The steps outlined here will help the United States and international community take maximal advantage of this opportunity for peace.